Technology is a big part of how we keep you healthy and smiling. For example, less than 1% of dentists across the country use microscope enhanced dentistry, and technology allows us to catch problems when they’re too small to be detected by any other means. 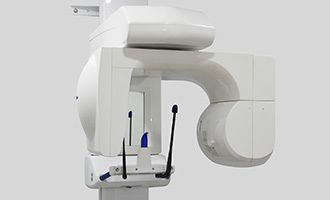 Microscope-enhanced dentistry also allows for greater precision during restorative and cosmetic dental care procedures. This is just one of the great tools we use every day to serve our patients, and you can read about even more below. 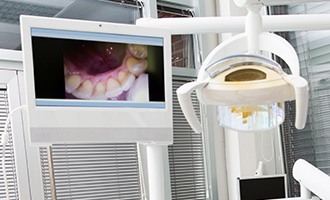 With this small camera-tipped wand, our team can create highly-detailed images of your teeth and mouth and instantly display them on a large chairside monitor. These images will not only make it easier for us to spot dental issues (especially in those areas hidden from the naked eye), but they will also give you a much better understanding of your dental health. By actually being able to see what your dentist is talking about, you’ll have helpful information that will empower you to make more confident decisions about your treatment. 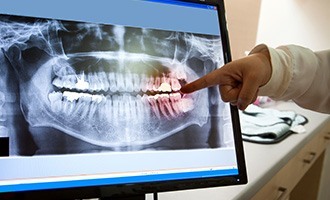 Compared to traditional film-based x-rays, digital x-rays are better in every possible way. Our digital machine can create images much faster, and they can be displayed almost instantly on a large chairside monitor for you to see. Plus, these images don’t require toxic dark room chemicals to be developed like traditional ones. Even better, this approach to radiography also emits up to 90% less radiation, allowing us to keep our patients safer while giving them peace of mind. In the past, it would take at least 2 visits to the dentist’s office spaced about a week apart to have a tooth repaired with a dental crown. With modern life being busier than ever, this process simply doesn’t work for most patients’ schedules. This is why our practice offers CEREC One-Hour Crowns. This high-tech system uses sophisticated CAD/CAM (computer-aided design/manufacturing) software and allows us to completely repair your tooth using a custom-made, all-porcelain crown in just an hour. 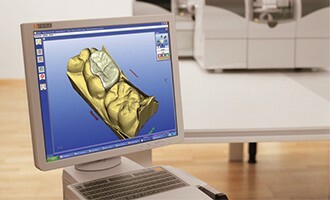 With CEREC, you get better quality and more speed at the same time. Oral cancer is a very serious disease, but the initial symptoms (such as persistent sores or a chronic sore throat) can be easily overlooked by patients. This is why everyone should have a professional oral cancer screening at least once a year. You can get one right here at South Shore Dental Care, and during it, your doctor will use a special tool called a ViziLite. This light is able to reveal tissue abnormalities that normally wouldn’t be visible to the naked eye. This will enable your doctor to catch any potential cancer you have at the earliest possible time, making it much more likely that it can be conservatively and successfully treated. 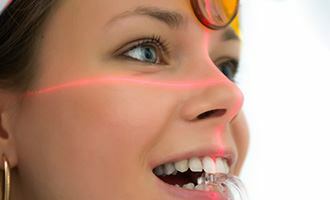 Lasers were first introduced into dentistry back in 1994, and now, they are one of the most useful tools we have. 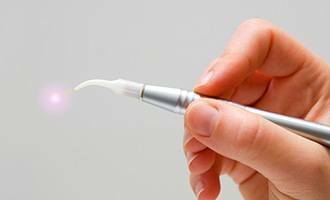 With our soft tissue laser, we can perform sensitive periodontal therapy procedures quickly and effectively. It uses a highly-concentrated beam of light to instantly vaporize any plaque or bacteria along the gum line that may be causing an infection. The light itself is so precise, in fact, that it leaves all of the surrounding healthy tissue alone, ensuring that procedures are relatively painless and only require minimal recovery. If you’re interested in having a cosmetic treatment, we can show you what your results will look like using our own imaging software. We’ll basically be able to create your own personalized “before and after” photos. We’ll simply enter pictures of your smile into sophisticated software, and this will be used to create a mock-up of what your teeth will look like after a particular treatment. This will help you know exactly what to expect, and you can even ask for any small adjustments you might want. This wonderful tool allows us to create a fully 3D image of your teeth, jaw, and other surrounding structures in a matter of minutes. With this highly-detailed scan, we can precisely plan delicate procedures such as dental implant placement so that they are perfectly suited for each specific patient. This will allow your doctor to ensure a positive result as well as perform the procedure in the least invasive way possible, ensuring that you have a short and easy recovery period. Your comfort is as important to us as your care. We have big screen TVs, personal headphones, and WiFi to help keep you entertained while you’re with us. Plus, we can provide sedation dentistry to help you relax if dental fears have been keeping you out of our chairs.